Wander through a South Africa bazaar fragrant with spices and incense, alight on Fiji’s palm-fringed shores and explore museums filled with pottery from Peru’s ancient civilizations — all available in one incredible cruise that takes you around the world with ease. From stops in idyllic destinations to engaging onboard activities and luxurious accommodations, Crystal Cruises has developed the global voyages of your dreams that set sail in 2018. Crystal Symphony sails from Cape Town to Miami while Crystal Serenity sets sail from Los Angeles to Rome and — for the first time ever — the ships will cross paths in Sydney, granting world cruisers the opportunity to switch vessels to complete their journey. Sit back and let us secure your spot on the voyage of lifetime. Not able to dedicate the time to sail around the globe? Simply choose among the specific regions that call out to you and reap all the benefits of a world cruise: effortlessly traverse multiple ports from the comfort of your floating home, surrounded by all the amenities of a luxury ship. Select from 14 shorter voyages ranging from 11 to 24 days that speak to your personal sense of wanderlust. Embark on a tranquil cruise from the tropical Republic of Mauritius to Perth, Australia, aboard the modern and airy Crystal Symphony. 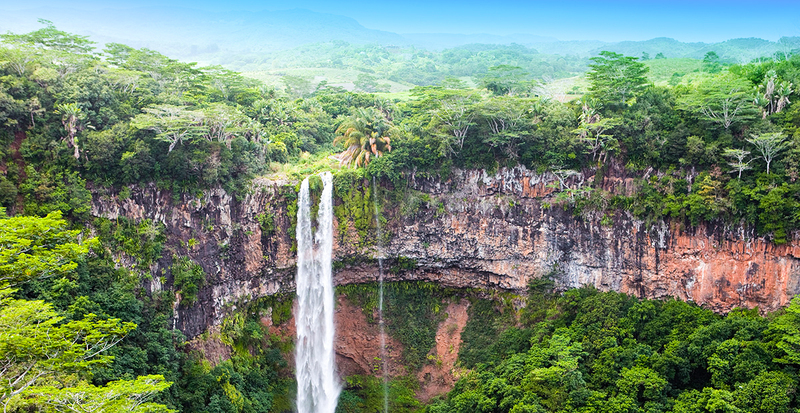 Culinary-focused travelers will savor a guided tour of Port Louis’ local food market and an introduction to Mauritian cuisine during a Creole cooking class, or explore the island nation's natural wonders, such as Chamarel Falls and the striking Seven Colored Earths. On board, the world-class Crystal Spa entices with a blend of ancient therapies and modern-day treatments during your multi-day journey across the Indian Ocean. Set off from Auckland aboard the sleek Crystal Symphony® toward Papeete, Tahiti, stopping in the paradisiacal destinations of Fiji, the Cook Islands, Tonga and Mo'orea. 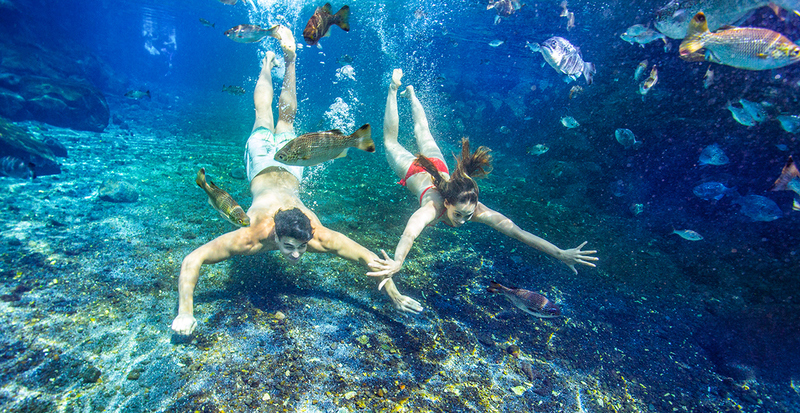 Don a special helmet in Bora Bora to plunge below the crystal-clear turquoise waters for a nature walk on the bottom of a placid lagoon, identifying colorful tropical fish and intricate coral formations as you stroll the ocean floor. During your six days at sea, take advantage of the state-of-the-art fitness center, including core-strengthening yoga and Pilates classes. You’ll discover the treasures of Central and South America on a journey from lush Colón, Panama, en route to Miami. Bookending a foray among the cactus jungles of Aruba are stops to enjoy an exploration of St. Barts’ eco-friendly Marine Park inside a semi-submersible vessel and a private coffee tasting with the owner’s of well-known Cartagena, Colombia, plantation. 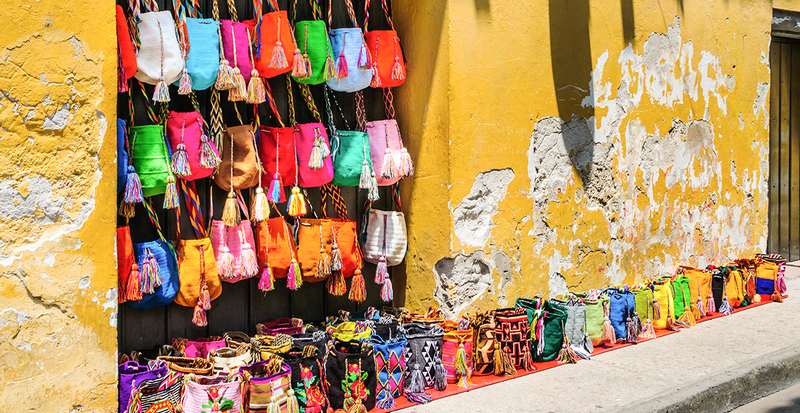 Plus, in Cartagena your ship doesn't disembark until 10 P.M. leaving you with extra time to shop, soak in the city's unique culture and explore the thriving nightlife! While at sea, take in dramatic panoramic views outside floor-to-ceiling windows during Afternoon Tea in the Palm Court lounge. 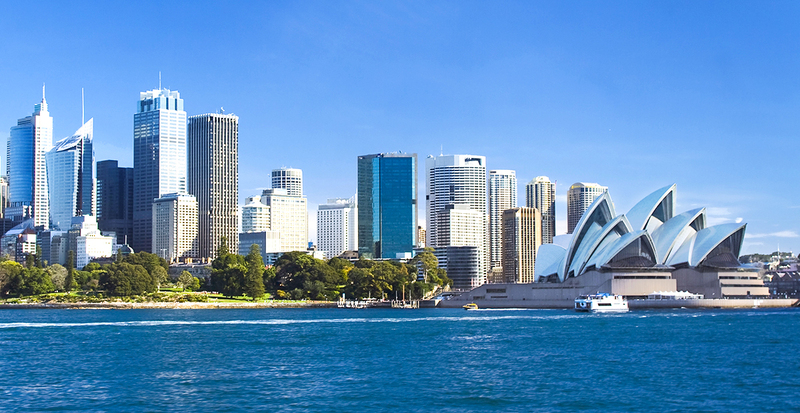 On the long journey from Los Angeles to Sydney you’ll spend your days cruising the Pacific Ocean, soaking up the sun on the colorful Seahorse Pool deck or perfecting your stroke at the ship's driving range and putting green. Become one with nature during a stop in Maui as you a hike through the Ho'olawa Valley and take a dip under a picturesque waterfall. The Piula Cave Pools in Apia, Western Samoa, beckon for a refreshing dip in its two freshwater grottoes connected by a dark and mysterious 10-foot-long underwater passage. A cruise of Sydney Harbour grants magnificent Sydney Opera House views from all angles before setting off on your journey to the Philippines. During a stop in Cairns, you’ll learn about the agriculture of tropical Australia, sampling spelt banana bread from a local bake house and helping harvest macadamia nuts from a plantation. Nights at sea are spent with your friends and loved ones at Trident Bar & Grill, where you inhale the sweet scent of olive trees as you dine under the stars thanks to a retractable glass roof. 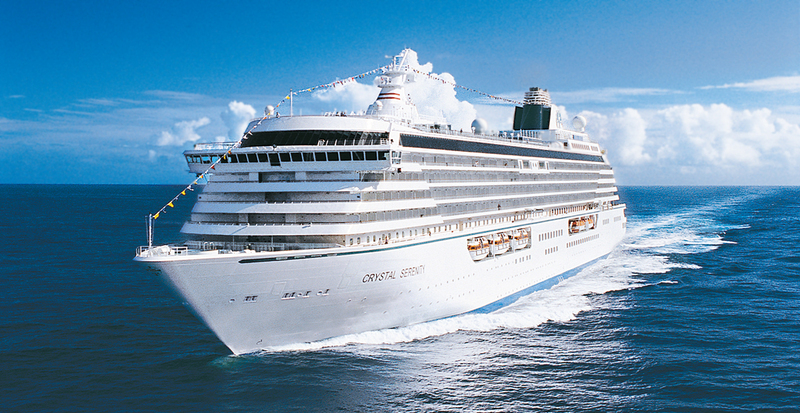 Explore a multitude of cultures and sites on a Crystal Serenity® journey from Singapore to Mumbai. 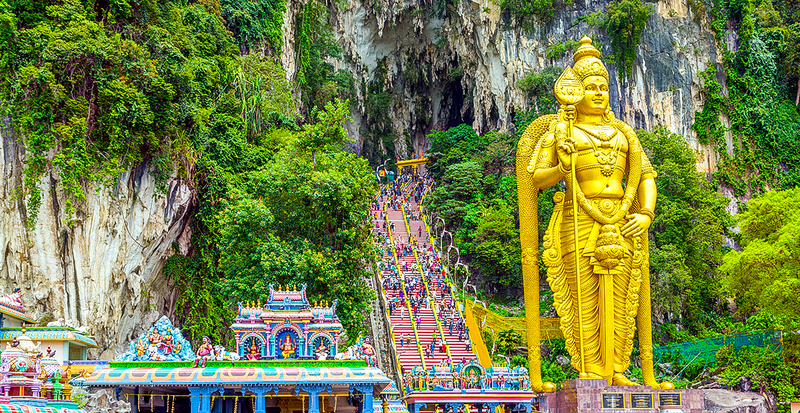 In Kuala Lumpur, you’ll gaze upon the majestic natural Batu Caves and their ornate Hindu shrine made of limestone, while a stop in Phuket includes a spirit-nourishing massage at Sukko Cultural Spa and a visit to the three-story Wat Chalong, the largest of the Thai city’s 38 Buddhist temples. An exclusive visit to jewelry designer Kavita Behl’s Mumbai studio might inspire a shopping spree back on board, aided by a private sales area and knowledgeable associates. 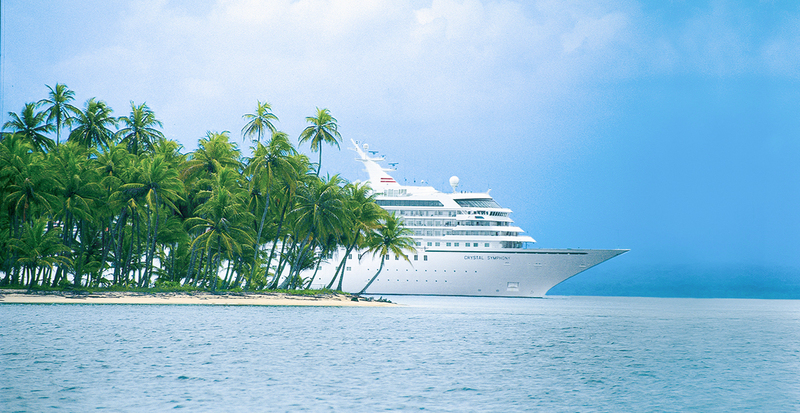 Read more more about Crystal’s full world cruise in our Ultimate Experiences magazine. Ask us how you can receive it today! Ready to cruise the world in a way that’s tailored to your passions and timeline? 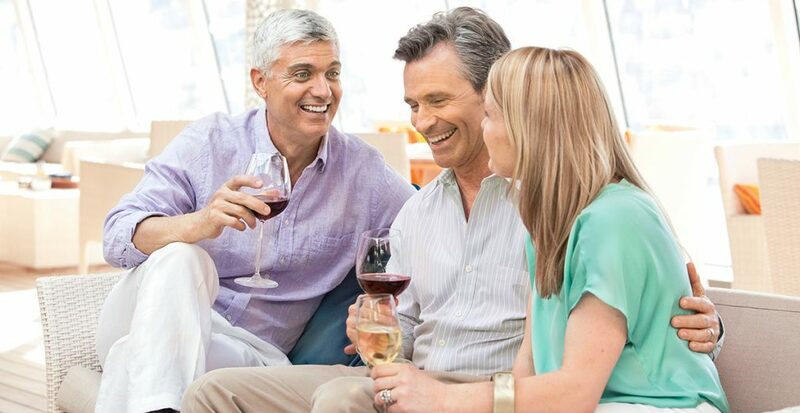 Let us reserve your segment of a World Cruise today.